Convincing President Trump to release his tax returns is proving slightly more difficult than we initially anticipated, but that doesn’t mean there haven’t been any signs of success from taking the longer route. Take, for example, a 98-page document recently released by the United States Office of Government Ethics. The document, available in its entirety here, clearly shows that not only is Donald Trump outright profiting from the presidency, a direct violation of the Emoluments Clause of the United States Constitution but also that he is in debt to several banks, both domestic and foreign. Although shocking news, none of this particularly comes as a surprise, more or less just confirms what most of us already suspected. However, it’s when you delve into the details that you discover the true significance of the President’s possible under-the-table actions. German-based Deutsche Bank was served with $630 million in penalties back in January for a $10 billion Russian money laundering scheme involving it’s Moscow and New York branches among others. 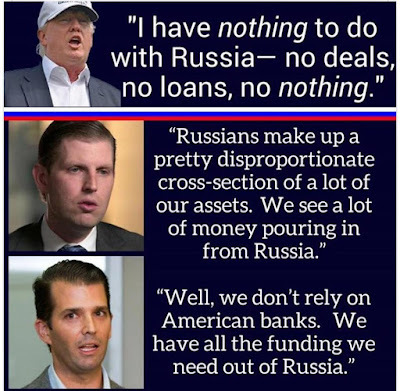 Deutsche Bank also gave Trump four questionable long-term “loans,” potentially Russian money that’s been handed to Trump, the final loan given just before the commencement of the presidential election and used to help fund the Trump International Hotel that opened in Washington DC last year. 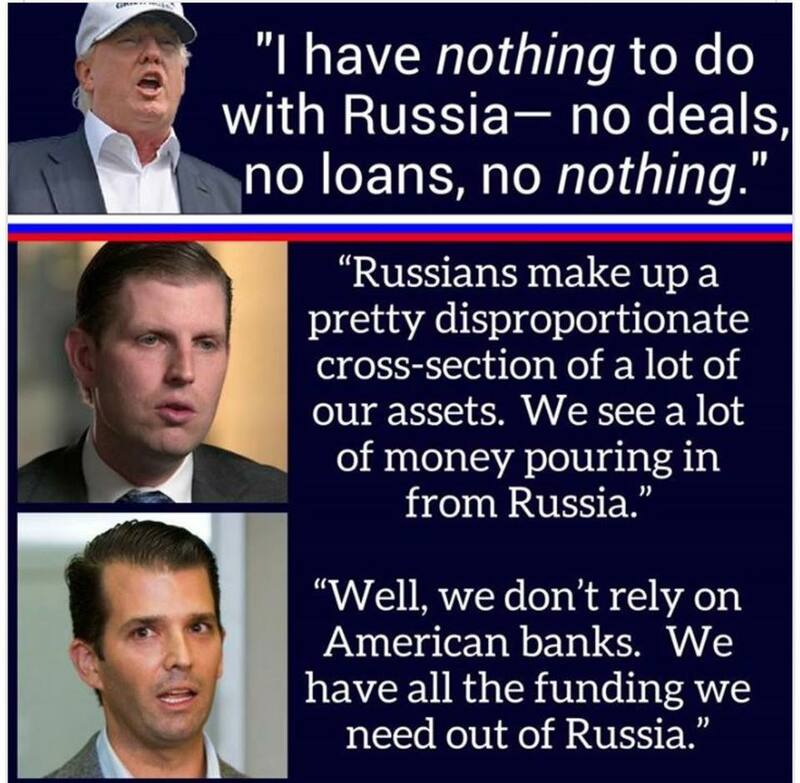 Obviously, this interaction between Trump and Deutsche Bank should raise more than just a few red flags, at least confirming that there is a possibility that the Russians laundered money to Trump as he began his campaign and just prior to hiring senior advisors with ties to the Russian government. Furthermore, Deutsche Bank is gaining somewhat of a reputation for their shady business dealings as well. Not only were they caught in the Russian laundering scheme, the bank also struck a $7.2 billion deal with the US government last December to settle claims for toxic mortgages they packaged and sold between 2005 and 2007, as well as paying $2.5 billion in April 2015 to settle charges it conspired to manipulate global interest rate benchmarks. It’s interesting, yet not at all surprising, how corrupt people and organizations just seem to gravitate toward each other.